I love type. 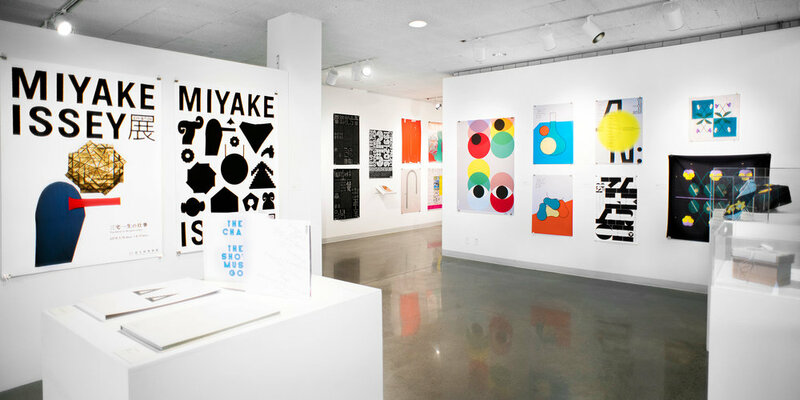 I love looking at it, I love making it—and I love that I got to do some of both when I helped bring an exhibit of work from the Tokyo Type Directors Club (TTDC) to Minneapolis. 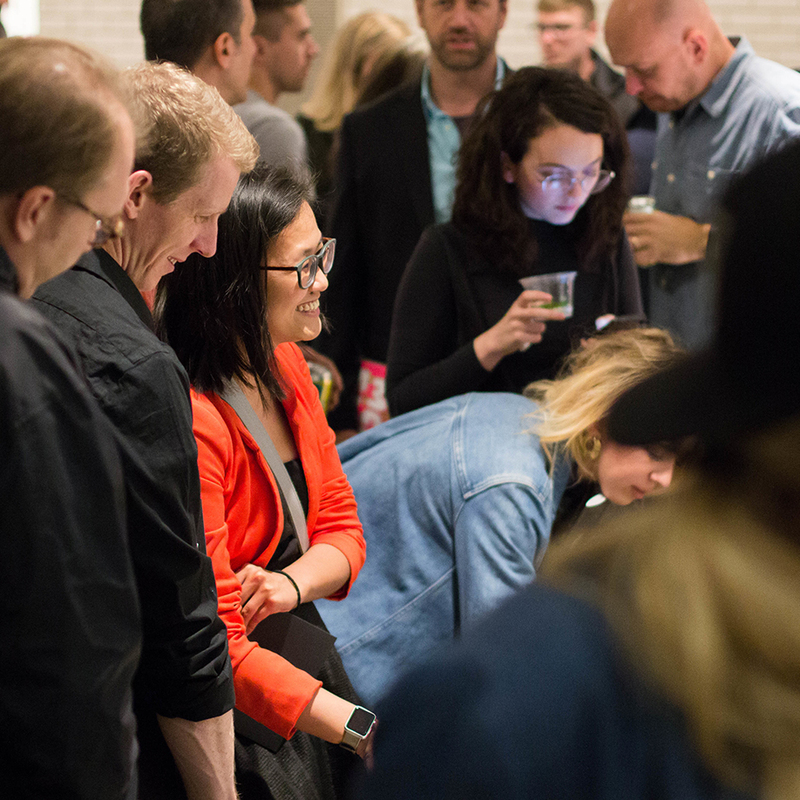 The exhibition, on display October 11-November 7, 2017 at the Minneapolis College of Art and Design (MCAD), featured a curated selection of work from the 2015, 2016, and 2017 TTDC competitions. 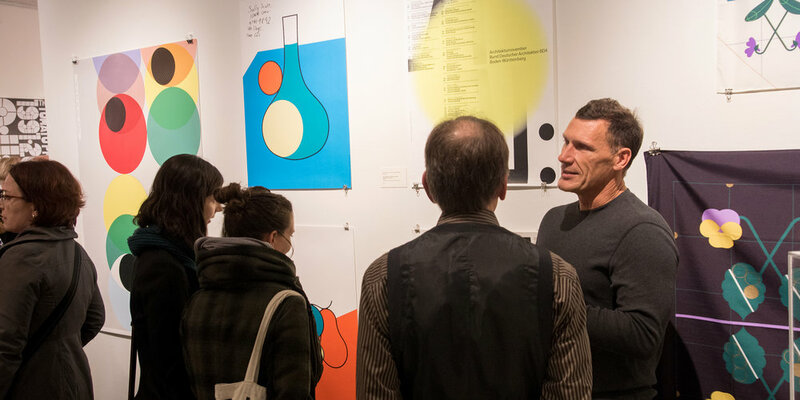 The show coincided with the AIGA National Design Conference in Minneapolis, and it was co-hosted by Werner Design Werks, MCAD, and AIGA Minnesota. My design for the event graphics featured a custom typographic illustration and a bespoke supporting typeface which was created specifically for this project. 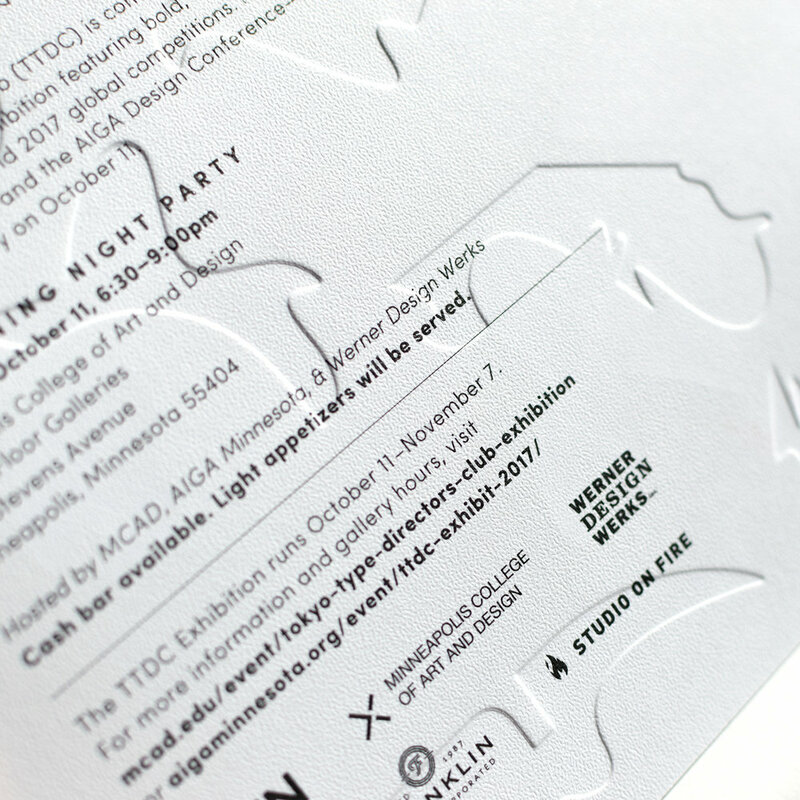 The postcard was printed on Neenah Classic Stipple paper, with offset printing by Franklin Press and embossing and foil stamping by Studio on Fire. This project has been selected for inclusion in the (American) Type Director's Club annual and AdFed of Minnesota's The Show 2018.